Empellón Taqueria Continues Taco Tastings; Takashi’s ‘CowPlus: La Vara’s first winemaker dinner, and more, in this week’s roundup. 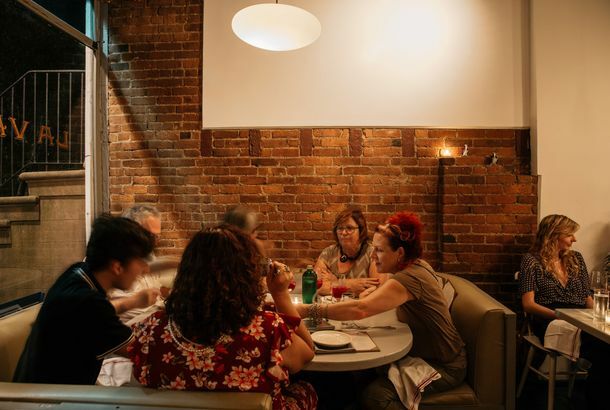 The Other Critics: Pete Wells Travels to Jersey City; Tejal Rao to BushwickPlus: Jay Cheshes praises Eleven Madison Park, Amelia Lester likes La Vara, and more in our weekly roundup of critical opinions. The Other Critics: Uneven Service at Talde, More Praise for La VaraIt’s a Sandy-abbreviated week of critical reviews. The New Yorker Defends Brooklyn Crab; Tejal Rao Impressed at NetaPlus, the Daily News likes Cómodo, Pete Wells enjoys La Vara, and more of this week’s restaurant reviews. How to Make La Vara’s Gin-TonicAdding a super-size twist of lemon results in a thirst-quencher that may not only help prevent malaria but also scurvy. La Vara’s Alex Raij Accuses Ken Oringer of Copying Her Recipe(s)Yo, Toro?